I caught up with Jonathan at Person Centred Software’s Guildford office shortly after the software provider celebrated its 1,000th care home coming on board with its electronic care planning system, Mobile Care Monitoring. Jonathan has come a long way since starting his career as a junior programmer in the late 70s. His career in care began in the early 90s when he was commissioned to develop a service user billing system for Court Cavendish. The billing system went on to become the electronic care planning system Caresys, which Jonathan sold to Advanced in 2010. It was shortly after this that Jonathan and his brother Simon set up Person Centred Software. “Simon and I said ‘why don’t we create the product that we always wanted Caresys to be?’”, Jonathan told us. It was on this basis that the brothers developed their Mobile Care Monitoring system. “We created the first, and in many respects, still the only fully mobile, easy to use, fit for purpose, evidence of care system,” Jonathan said. “Everyone was thinking that to go digital, a computer was the answer. But we take people from using paper to evidencing care using a digital system that is mobile. Remember, carers don’t sit at a desk using a desktop computer. The icon interface is combined with a slider scale of measurements where carers can log, for example, levels of happiness, fluid intake and severity of falls. “We had happiness as a core measure from day one,” Jonathan said. “Happiness levels are measured with a range of five smiley faces in different colours. “We have had people say to us – ‘how can you measure happiness it’s not objective?’ But subjective is good enough. The easy-to-use, icon-based interface of the system developed in 2012 was born out of Jonathan’s aim to create a system that was universal, which anyone could use. “It’s no good if you have a system that 20% of carers use,” Jonathan said. 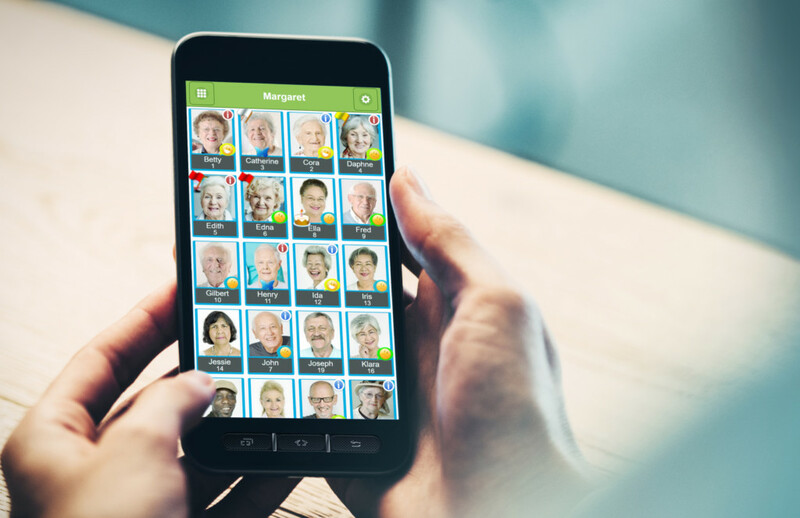 In a radical move that dispensed with the need to write lengthy care notes, the system is designed so that 95% of care can be evidenced simply by pressing picture icons. As a result, Jonathan is proud that Mobile Care Monitoring saves every carer an hour per shift that was previously spent on paperwork. “The first set of pictures on the interface shows service users with their names,” Jonathan explained. Another innovation from day one was the Relatives Gateway – a secure portal for friends and family of residents in care homes to share messages and photos electronically, and if appropriate, to view care and electronically sign the care plan. “The system not only dispels families’ fears about care homes but keeps them much more connected to their family member’s new stage of life during the transition to living in care,” Jonathan said. Jonathan admitted that getting providers to adopt the system remained a challenge, however. “Transparency and openness in social care in 2013 was unheard of,” Jonathan said. Fast forward to today, and while significant progress has been made with nearly 300 care homes using the Relatives Gateway, Jonathan concedes there remains a reluctance to share care notes. “They talk about it but the ‘doing it’ is a step beyond most care homes,” he said. 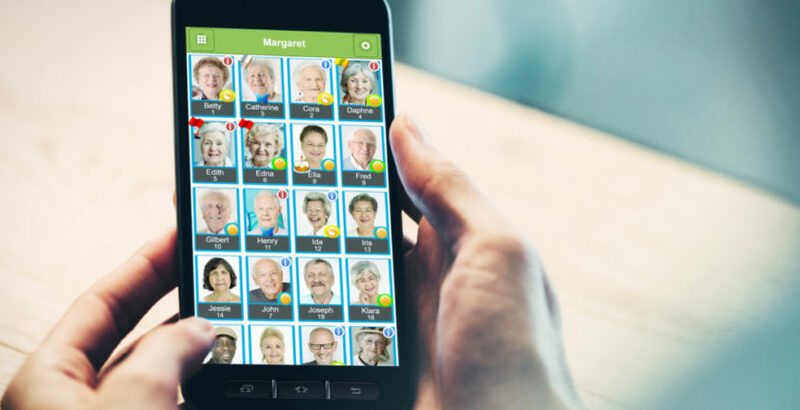 Providers are given maximum control over the level of data sharing with options ranging from simple picture sharing to sharing daily care plans. While electronic care planning systems have seen significant take up amongst small and medium sized providers, Jonathan noted there remained a notable reluctance amongst the large providers to ditch their paper. With logistical challenges often cited by the large providers for their reluctance to adopt electronic care systems, Jonathan highlighted the ease with which Mobile Care Monitoring can be implemented. “We have an implementation process that is very efficient,” Jonathan said. The director and founder pointed to the prevelance of CQC ‘outstandings’ amongst smaller and medium sized providers as evidence of their greater willingness to innovate. The digital provider has seen its own notable success with CQC ratings. It has 46 homes that have achieved CQC outstanding, representing around 5% of its customers, which is ahead of the sector-wide level of 3% with the regulator’s top rating. While the business has seen strong growth in take-up in recent years, Jonathan observed there was still much talk to do in gaining sector-wide implementation. “We have 1,000 care homes of which we believe we have 50% of the market that has adopted an electronic evidence-based care system,” he explained. The director said the CQC had a crucial role to play in changing mindsets. “They are encouraging transparency and openness and one of the easiest ways of doing that is electronically,” he noted. The Person Centred Software founder called for a mandatory date to be set for sector wide adoption of electronic evidence of care systems. Looking ahead, the provider is working with partners on the development of a care ecosystem composed of a complete suite of digital systems that can work together and feed into its system. Potential partnerships include a company that is creating facial recognition apps to detect the amount of pain being suffered by people who are unable to communicate. “We are taking that to a couple of providers shortly and are working on the interface that will feed directly into our care plan and will provide better quantitative measurements of the pain people are in and then be able to evidence what we do and measure if that care improved the pain,” Jonathan said. The business is also working with a number of different medication providers on the integration of eMar systems. “One of our goals is to have meds all the way from the pharmaceutical company to medication being administered available within one process,” Jonathan said. The software provider’s electronic care planning system is a comprehensive compliance product that helps providers meet most of the CQC’s Key Lines of Enquiries (KLOEs). “Lots of our features within our mobile evidencing, monitoring and reporting system cover all five key questions,” Jonathan said. Person Centred Software is also working on the possible addition of an artificial intelligence layer to its system, though Jonathan remains a committed advocate of person provided care. “I still personally believe that people interact best with people,” he stressed. The software company stores over 50 million additional care notes a month, and is working with several universities on research projects using big data analysis of routinely collected information by carers to identify patterns that predict development of malnutrition and dehydration. This will lead to simple early interventions to prevent entirely avoidable causes of death in vulnerable care home residents. Person Centred Software also continues to partner with WCS Care on its analytics projects. WCS Care has improved hydration levels through data analysis and is monitoring associated benefits such as falls reduction. 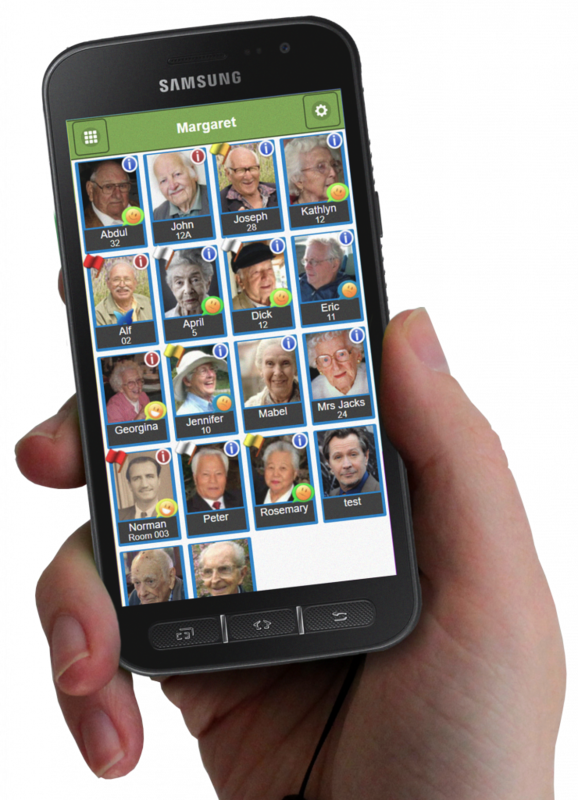 Person Centred Software gives care providers the ability to analyse incidents, to trace what actions led up to them and prevent future incidents occurring. “In our falls matrix we measure the location, where it happened, how many staff were on shift, etc,” Jonathan explained. “One care home realised that the times when their residents were more likely to have falls were during their shift handover when less staff were on the floor. They were able to change their staff working patterns so that they were able to support the residents better. “No-one else has this measurement of multiple pieces of data,” Jonathan said. The post THE BIG INTERVIEW: Jonathan Papworth, co-founder and director, Person Centred Software appeared first on Care Home Professional.